Tïjonïk 3 (Unit 3) Rutzil wachaj (Greetings) – Chqeta'maj le qach’ab’al K’iche’! Previous Previous post: Tïjonïk 2 Jas ub’anik jun k’otoj chi’aj pa tijob’al? Next Next post: Tïjonïk 4 Are wa’ nuwuj! This unit introduces the most common greeting formulas. Click on each text, listen to the audio and read along. Repeat each formula aloud paying attention to Juan Manuel’s intonation. Finally, you will also learn several common K’iche’ names. Saqirik tat! Good morning, sir! Xb’e q’ij nan! Good afternoon, ma’am! Xok aq’ab’ ali! Good evening, girl! K’iche’ has different formal and colloquial address forms. 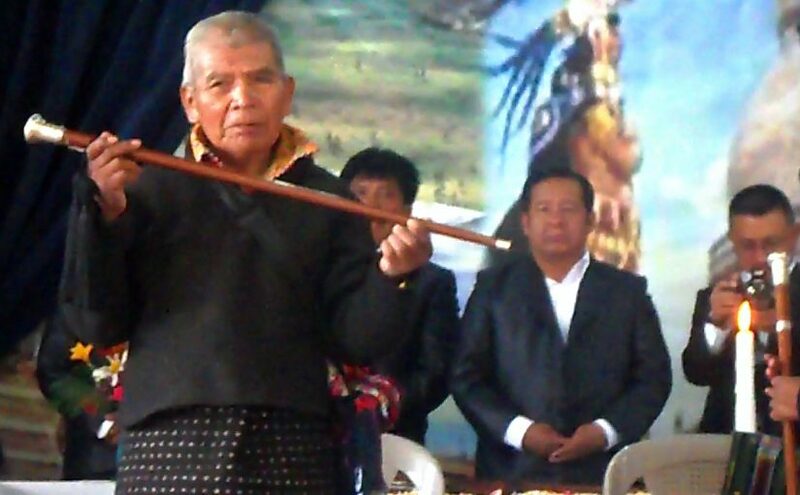 In Nahualá, formal address is required to engage town elders, family in-laws, school teachers, the elderly, church leaders (Catholic priests, catechists, Evangelical pastors) as well as civil authorities (town mayor, departmental governor and other high government officials). Formal address is also used to address God and other divine beings in religious ritual. It is required to address adult audiences in public functions such as school graduations, political speeches and masses. Finally, it is commonly used in radio broadcasts to address listeners. Colloquial forms are expected in informal conversations between kin -except between in-laws- as well as between friends. They are also used in market transactions and in brief exchanges between strangers of the same social status. Watch each of the following short videos paying special attention to the greetings the speakers utilize. B: Utz maltyox- E k’u ri at – La utz awach? Well, thank you – And you? – How are you? A: La utz wach la? B: Utz maltyox- E k’u ri lal- La utz wach la? Well, thank you! – And you? – How are you? First names are preceded by a particle known as nominal classifier that indicates gender and marital status of the name holder. Most common first names are phonologically adapted Spanish names. Maj kab’ij la! Maj kub’ano! You are welcome! You are welcome!